Google account comes up with a lot of services like Google search, Gmail, Google Plus, etc. All of these services can be managed in a commonplace using Google account settings menu. You can change the security configuration, privacy settings, and other account preferences. If you are already not connected with Gmail, then create Google account first. Here we will guide you on Google or Gmail account settings. How to Access Google Account Settings Page? 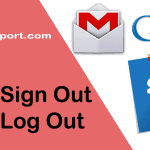 Login with your Google email account. If your Gmail email username is already on the list, click on the username you want to log in. Or click ‘Add Account‘ to sign in with a new Google account. Enter your login credentials and then click ‘Sign in‘. Now You will be directed to My Google Account section of your account where you can access Google account settings. Here you will find the Google account settings which are related to sign in or check where your id is logged in from and also review the Google apps you are using or connected sites. 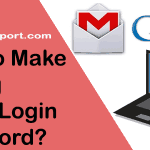 Control your Gmail login password settings. 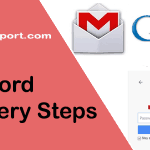 Add additional security to your Google account by enabling 2-factor authentication in Google. 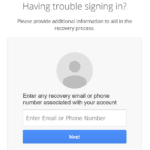 Set recovery email and add your Google account recovery phone number to get back your account in case your lockout anywhere. You can review the recent security events like New sign in, password change, etc. Check from where your account was logged in at recently used devices. Change Security alert settings to get informed of critical security risks or other account activity via email or SMS. You can remove the authorization for apps that are connected to your account. Remove the synced (saved) password. Allow or disallow less secure apps (recommended to turn off). Manage the info about yourself and control what you want to allow to be public or to be accessed by Google itself. You can manage your basic information like name, number, gender, and other settings which help you to get in the search results of Google maps, hangout, etc. Manage the search and browsing history. You can let Google monitor your location history by enabling the places you go, or you can just disable it. Change settings to allow or disallow Google to collect your contacts, call log, etc. from the device you have Google account connection. Allow or Disallow Google to collect the information about all the voice search you have used in Google search apps. Allow or Disallow Google to collect the information about videos searched or watched on YouTube. You can control what kind of advertisement you will like to see on the Google ad platform i.e., Google Adsense. You can have a glance of all your Google account activity and also can access the number of emails, your drive space, etc. and get to apps settings directly. You can create an archive of all your content and download it to be used in other apps as well. You can assign someone else you trust to access some of your account contents after the inactivity in your account till the time you specify. Here you can manage options like language settings, storage options, and other accessibility options. You can select the default language to be used in your account. You can also select the default input tools to ease in your localized input option. You can get more friendly with accessibility options with Google sites. You can set the screen reader to ‘ON‘ which reads the screen of Google sites. You can view the usages of your Google Drive and also see price and other storage plans if you wish to upgrade. You can delete any particular Google product, like Gmail, Google +, etc. You can delete your entire Google account. This tool helps to review your current security settings and the activity of your account. This tool helps you to review the relevant settings about privacy and adjust them as you like. Click ‘Get Started‘ to start a privacy checkup. Attempting to open new gmail account, it keeps showing with name of my ex-husband’s account. when it asks for his gmail password, his latest one shows incorrect. (i also attempted it with my password; it , too, did not work.) i need to totally remove his information from my account. please advise how to do this. thank you. When you are trying for new Gmail account sign up and it keeps showing with name other’s account > At this stage Click on the drop-down arrow just at right side of the account that is being displayed and then click on use another account and you follow the steps as mentioned. and to remove the account click on the remove account link just below the password box, and click on the X sign beside the account you wish to remove, It will ask you for confirmation, just click on YES, REMOVE.